BookMyShow Citi Bank Cards Offer : Buy 1 Get 1 Free Tickets. BookMyShow Citi Bank Cards Offer. BookMyShow Rs.100 Discount Offer : Buy Spiderman – Far From Home Movie Voucher Worth Rs. 200 & Get Instant Discount Of Rs. 100. 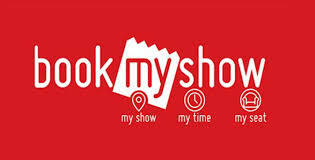 BookMyShow Movies Cashback Offer : Get Rs.150 Ticket For Free After All Cashback. BookMyShow Exclusive Movie Voucher : Buy A Movie Voucher For Gully Boy Worth Rs.199 & Get Rs. Rs.99 Instant Discount.